All Winter Edition 2016 stories are listed below. 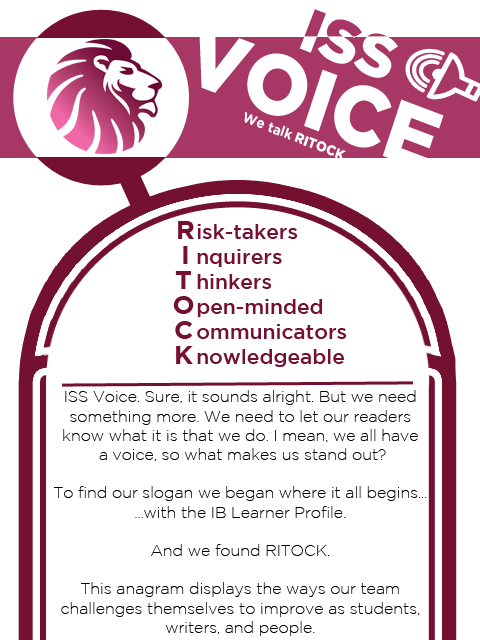 these new stories by the talented and dedicated group of ISS Voice contributors! Men’s Day – an unimportant patriarcal idea or an important day for gender equality? All Fall Edition 2016 stories are listed below. RITOCK: What does it mean?